There are even records of pilgrims holding up mirrors within sight of the relics, to reflect and contain rays of light from the relic. Johannes Gutenberg — yes, that Gutenberg — reportedly made pilgrim mirrors for sale before turning to inventing the printing press. The mirror, having once held a true image of the saint became a sacred relic as well. It also reminds me of all the modern day pilgrims holding up their camera phones to do the same — record the image in light coming from the relic; we figured out how to hold the image permanently in 1839. 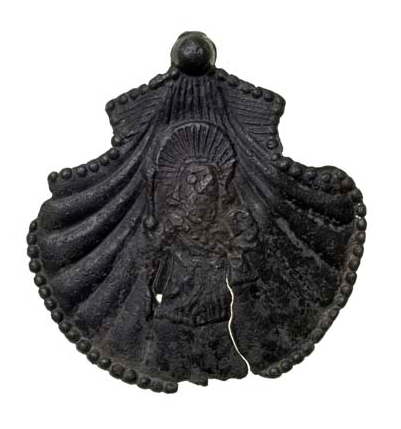 The badges, whether with mirrors or images associated with the saint, were stitched to pilgrim’s cloaks and hat brims. 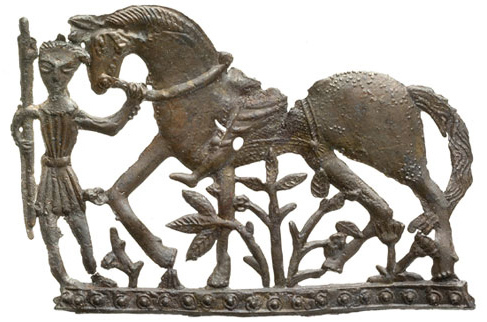 They were sold by the thousands and hundreds have survived, but given the number of badges found in the Thames, there may also have been a tradition of throwing the badges brought from Canterbury (the shrine of Thomas a Becket, murdered by order of King Henry the 8th), into the river once the pilgrim was home in London again. 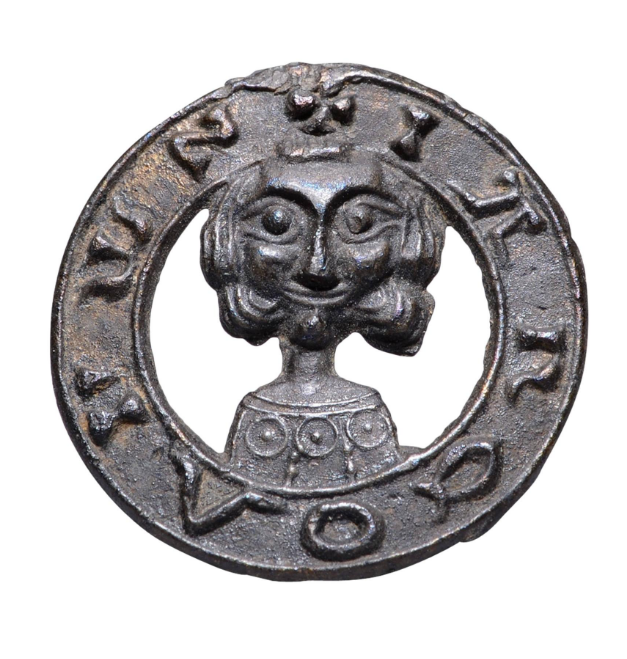 A rare medieval pewter badge, dating to 1300 – 1500 AD. 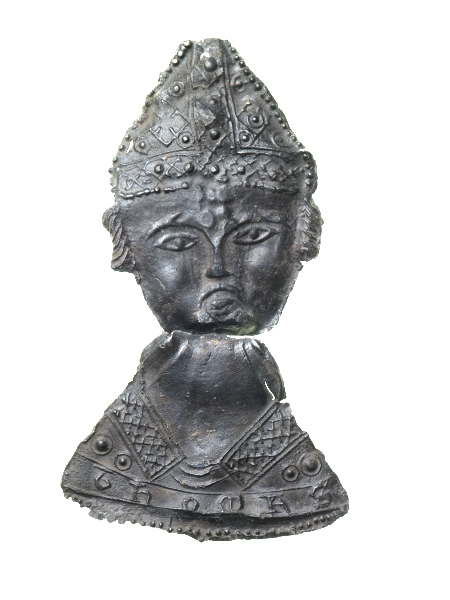 The badge depicts a young king, but I think he looks a bit like me ;-). Source: Brian Spencer’s Pilgrim Souvenirs and Secular Badges.